Just one day after criticizing an alliance with an Israeli ultra-nationalist political party, which was formulated by Prime Minister Benjamin Netanyahu, American pro-Israel lobbying group AIPAC announced Saturday that Netanyahu will be speaking at its 2019 annual conference in Washington, D.C. The event will take place in March, two weeks ahead of Israel’s general election, scheduled for April 9. Several of Netanyahu’s opponents have also been invited to speak at AIPAC’s conference, including Benny Gantz, Yair Lapid, and Moshe Ya’alon, the leaders of centrist party “Blue and White,” according to reports on Israel’s Channel 12 News and Channel 13 News, Saturday. 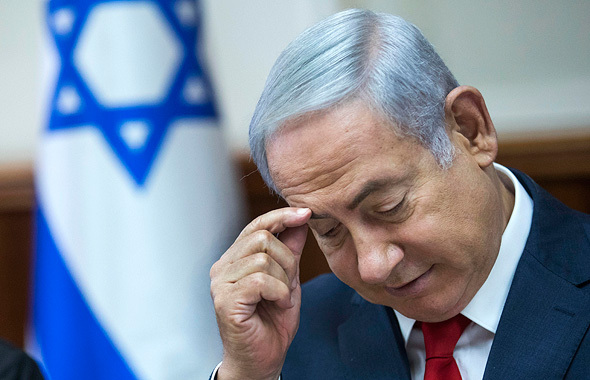 Last week, Netanyahu promised Israeli religious nationalist party The Jewish Home two key ministries should the party join forces with ultra-nationalist party Otzma Yehudit (Hebrew for “Jewish Might”). The two parties announced a union on Wednesday, securing the Ministry of Construction and Housing and the Ministry of Education for members of The Jewish Home if Netanyahu is to retain his seat using their support. Otzma Yehudit is associated with the teachings of Meir Kahane, whose political movement Kach is considered a terrorist organization by Israel, the European Union, the U.S., Canada, and Japan. According to previous surveys, without said union, the party stood little to no chance of securing the required 3.25% of all votes to enter the Israeli parliament.